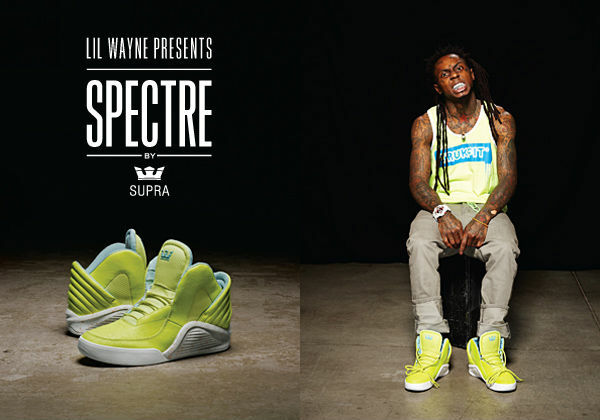 Today, Lil' Wayne and Spectre by SUPRA present the first full Spectre Collection, consisting of the Chimera, Kondor and Griffin. Spectre's launch model the Chimera, with its distinctive clam shell heel panel, is being released in all-black Satin TUF, as well as a new acid yellow colorway with splattered hot orange accents. Both shoes rest atop a SupraFoam midsole and rubber outsole. The Kondor features an ascending heel collar, large arm bar paneling, tall tongue and unique ribbed accents with generous padding. Red leather and black waxed suede colorways are part of this collection. Lastly, the Griffin is being released in white tumbled leather, black crackled TUF, red Express TUF and black waxed suede. 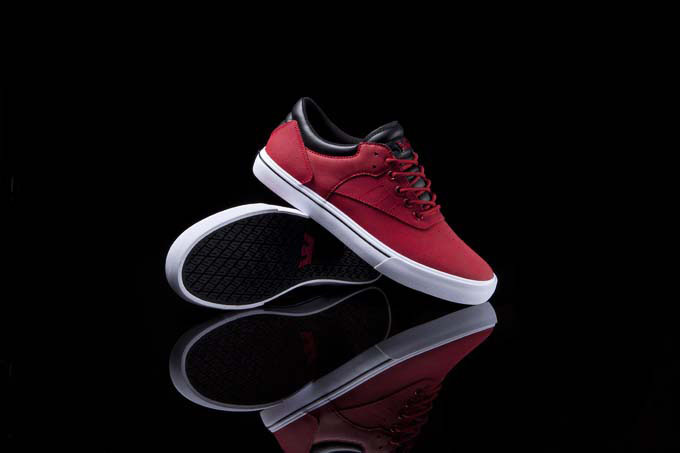 The low-top has a short eyestay, long vamp, padded accents and sits on a vulcanized sole. 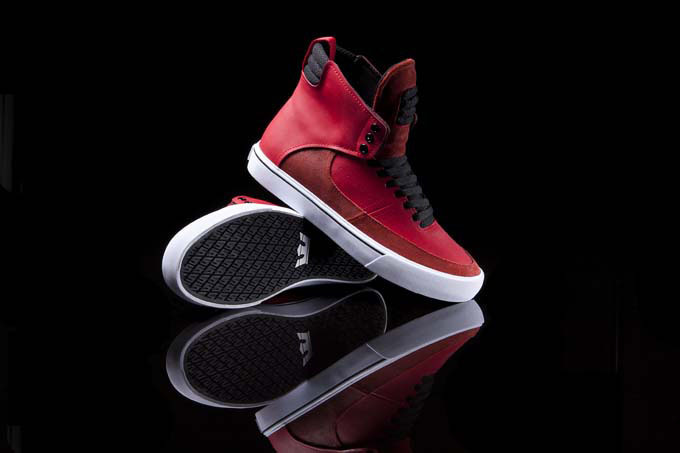 Spectre by SUPRA is available at Spectre retailers worldwide and suprafootwear.com.